Visit the Movies tab to find thousands of movie titles available on-demand. 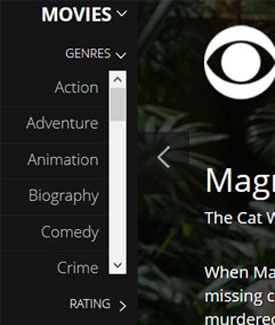 Once you click the tab a drop-down menu will appear with further search options for Genres and Rating, as well as Subscriptions and Pay Per View. 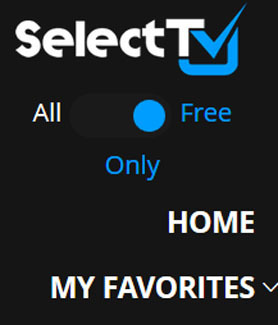 When the toggle in the top left is set to "Free Only" and you select either of the genres included under Movies, it will present you will all movies currently available to watch for free online from several different content providers. Sliding the toggle to "All" will show all movies currently available in our SmartGuide, including those which require a fee to view. Once you select a freely-available movie from either genre it will bring you to its respective movie page, which includes a brief description of the movie, as well as cast info. 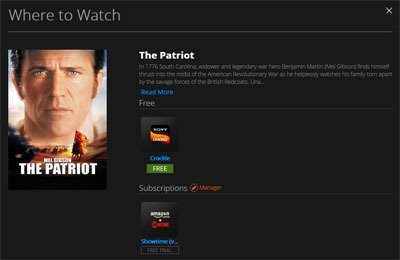 Click the Watch Now button to see the free viewing option(s), then select the free content provider to start watching. Note: If an ad appears first, just wait for the ad to finish and then the movie should start playing automatically. If it doesn't play automatically and the screen is blank, try clicking the screen to start it. 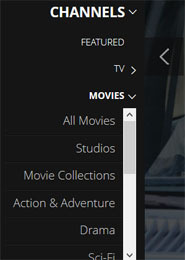 If you want to see a collection of featured movies for each genre, click on Action or any other genre listed under the Movies menu. When you reach that particular genre page, click "MOVIES" at the top, just under the search bar. 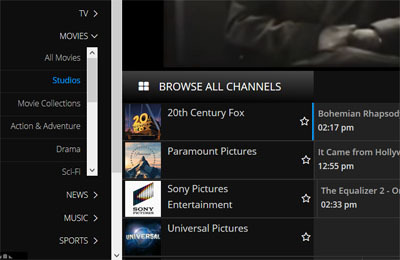 In addition to all the movies in the on-demand section, you should also be sure to visit the Channels section to find various movie channels. Here you'll find categories like Movie Collections, Studios, Westerns and more. 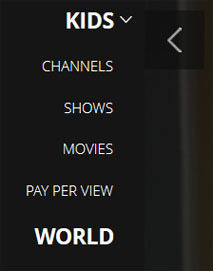 Once you select any of the categories under Channels > Movies it will start playing a video, and you can then choose from the different channels below the player, for that particular category. Looking for kids movies? 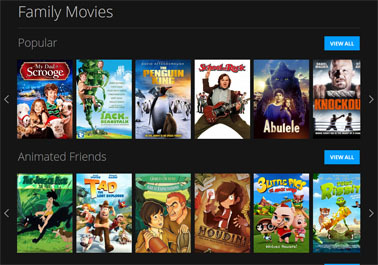 Simply click on Kids in the left side menu to extend the drop-down menu, then select Movies. This will take you to a page with various kids movie categories, including a featured kids movies slider at the top of the page.